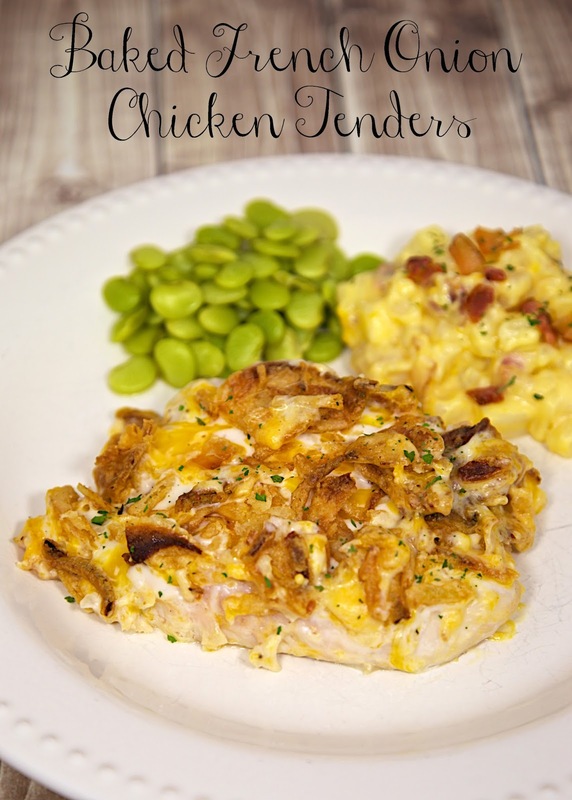 Baked French Onion Chicken Tenders Recipe - chicken tenders topped with French onion dip, cheese and French fried onions. Ready in under 30 minutes! We devoured this!!! I've really been into baking with french onion dip lately. We've made a potato casserole and chicken noodle casserole - both were delicious! I have a recipe for chicken tenders topped sour cream and decided to use the french onion dip instead of plain sour cream. OMG! YUM! We devoured these chicken tenders! SOOO good. I topped the tenders with some french fried onions. If you don't want that much onion flavor, you can top the chicken with crushed croutons or cornflakes. Either way, you can't beat this simple dinner that is on the table in under 30 minutes! Lay the chicken close together on a foil lined baking sheet. Sprinkle with garlic salt. Coat with a thick layer of French onion dip. Top that with the shredded cheese and then the French fried onions. This sounds like an OMG dish. 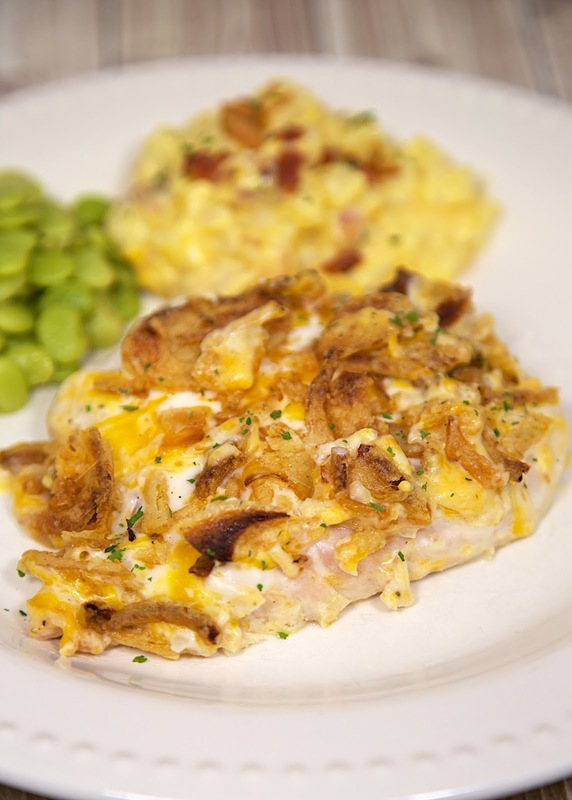 I don't know if we've used the fried onions for anything but green bean casserole - duh.